Located in Gilmer, TX, we are a family-run business that treats each patient like family. We are happy to treat Upshur County and beyond, including: Gilmer, Ore City, Diana, Big Sandy, Pittsburg, Judson and Winnsboro. 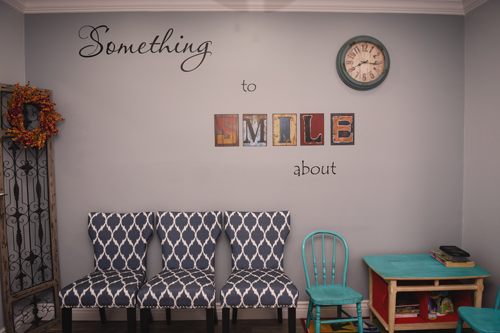 Gilmer Family Dental can help you begin your journey to a healthy, beautiful smile. Gilmer, TX's best dentist, Dr. Palmer offers cosmetic dentistry options that perfect your smile & restore your confidence. Implants bring the ultimate solution for missing teeth. Dr. Palmer in Gilmer, TX brings his expertise to direct your implant case at every stage. Periodic dental cleanings at Gilmer Family Dental keep your dental health on track. Discover the benefits of optimal care & regular check-ups. Dental health moves through many stages. Dr. Palmer in Gilmer, TX offers a range of preventive, cosmetic, & functional care for every age. Our patients are our biggest supporters. Read some of their kind reviews here and read all of our patient reviews by clicking the button below. My appointments at Gilmer Family Dental are always a positive experience from the moment I check-in until the moment I leave. I would recommend Gilmer Family Dental for both children and adults. The Dr. and all the people in the office are wonderfully kind and polite. Dr. Palmer is very clear and concise when telling you what needs to be done and also has a very professional manner and style. The assistants and the secretary all do the very best they can when helping the Dr. and the patients. I came in originally to get my dental health in order, and Dr. Palmer has been great at showing me what needs to be done and planning a route ahead. I've now had a crown and a couple fillings and the work is always quick and high quality. This man and his team are like a unicorn in the dental world -- something truly special. If you want high quality, personalized care and treatment, give Dr. Palmer a visit. He is not a drill and fill type of dentist who's only looking out for his own bottom line. Brent Palmer, DMD is a down-to-earth doctor with a sense of humor and a heart to help the patients he works with each day. As the son and grandson of carpenters and a carpenter himself, Dr. Palmer understands the importance of attention to detail, proper planning, and honest work. Patients appreciate Dr. Palmer's gentle demeanor and focus on comfort. While many patients experience anxiety visiting the dentist, they're eased by his sense of humor and by the attention he pays each case. He entered the dental field to perform work he enjoys and to serve those around him with quality treatments. Dr. Palmer works hard to provide for his family. When he's out of the office he enjoys the great outdoors and also swaps dental tools for woodworking tools, creating beautiful wood pieces instead of beautiful smiles.